D.Med Healthcare is proud to participate in the 55th ERA-EDTA, the world’s largest event for the medical sector in the field of dialysis. This year, the Congress will be held in Copenhagen from May 24th-27th 2018. 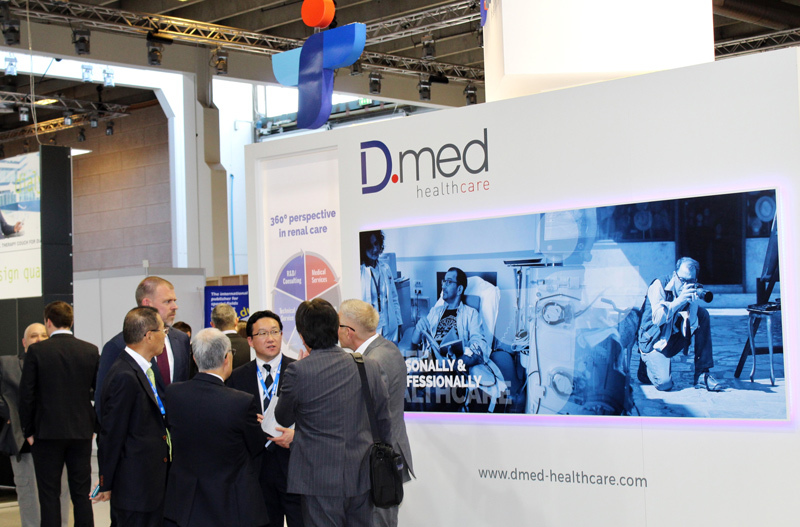 Come meet the D.Med team at our individual booth and learn more about us as a worldwide healthcare provider. You will be introduced to our international network of renal care services and products distribution. Moreover, we will present our R&D activities for dialysis technologies: as an example, our vascular access monitoring and hypertension management devices. We are looking forward to seeing you in Copenhagen!